Users expect the HDR feature on their devices to deliver the desired image quality without any artifacts or blurs. 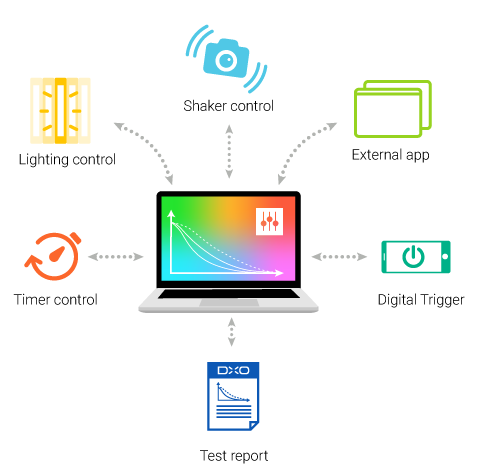 A new HDR Module is available with Analyzer that measures HDR on all types of devices irrespective of their technology, be it tone mapping, multi-exposure, or multi-image fusion. Users expect to have fast and accurate autofocus. Analyzer lets you characterize your camera’s autofocus effectiveness with even greater depth and precision. Testing automation is a must in most industries, and not only for production line or quality control. 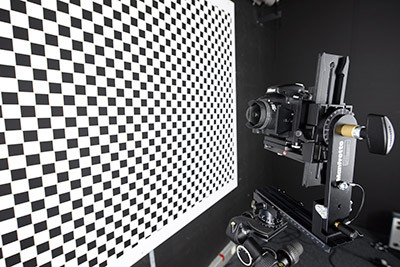 Even within a R&D department, it is critical to automate camera testing as much as possible, as complete image quality characterization may involve taking hundreds of test shots under various capture conditions. Sequencer from Analyzer, an add-on to our software, lets you automatically control and sync discrete testing operations, such as setting up lighting conditions and launching a shaker platform (simulating camera motion), triggering a capture, or even launching a third-party application. The diagram to the right shows the devices you can control and sequence within your testing workflow. DxOMark, the industry standard for digital camera and smartphone image quality, is based on a large set of objective measurements of key image quality attributes such as sharpness, color, exposure, contrast, noise, stabilization, distortion, and other sensor or lens artifacts. Starting with v6.2, Analyzer is equipped to provide all these DxOMark Mobile objective measurements allowing you to replicate the measurements in your own testing lab. In particular, Analyzer includes the Visual Noise measurement, which provides an image-noise metric that correlates with visual perception. We developed this measurement, used for DxOMark Mobile scoring, in collaboration with several imaging industry leaders from international standardization working groups such as IEEE/CPIQ and ISO TC42-WG18. 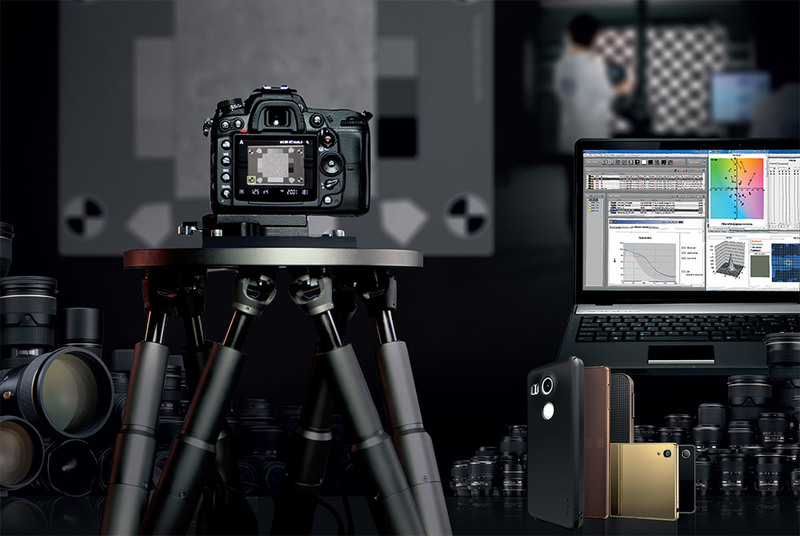 DxOMark Mobile scoring is based on all the above objective measurements as well as a set of subjective scores resulting from visual evaluation of natural and reference scene shots performed by our image scientists. 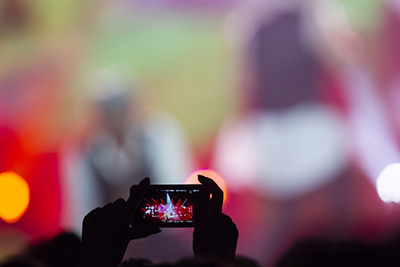 Measuring camera image stabilization quality is critical for many imaging applications, including smartphones, digital cameras, drone imagery, ADAS systems, and video surveillance. 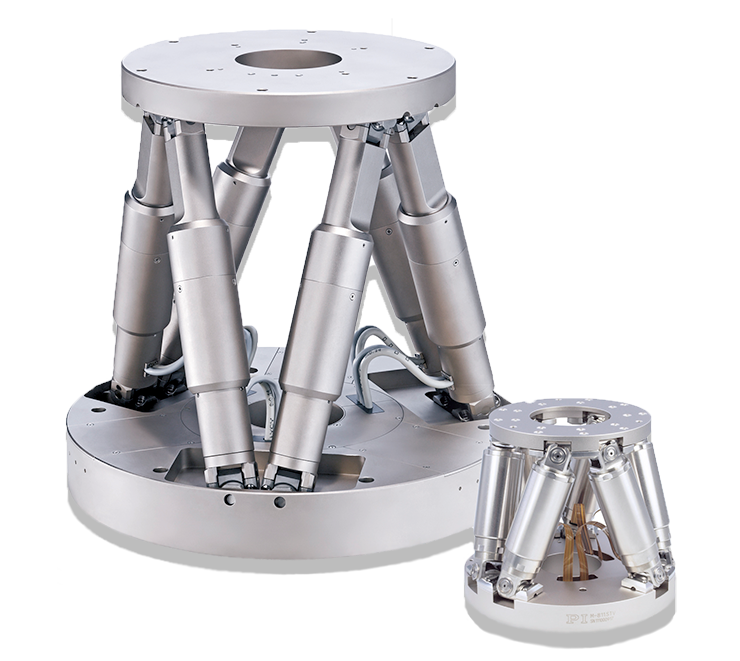 The Video and Stabilization module of Analyzer comes with a 6-axis Hexapod which simulates frequency shaking motion up to 25Hz to the scope of possible image stabilization testing scenarios. Both the current and the new shaking 6-axis Hexapods are CIPA certified and are in compliance with the DC-011-2015 (Certificate of Registration of Vibratory Apparatus) standard. In addition to this, a breadboard table and dedicated holders are provided to perform stabilization measurement under more reliable conditions. Accurate, streamlined MTF testing of wide FOV Fisheye lenses, beyond 190°! With the increasing popularity of wide field of view cameras, it is more important than ever to accurately characterize their MTF. This task has been very difficult, as it isn’t possible to create a single test chart that will work with a single capture for lenses with a field of view over 190°. Analyzer addresses this issue with a unique combination of its standard MTF chart with a panoramic tripod head and proprietary software that automatically merges the multiple test images required into a single composite for efficient evaluation. The camera being tested is moved in a prescribed pattern, so that each portion of the lens is in turn in front of the test chart. The MTF data is taken from a specific area of the chart in each shot, and then merged by Analyzer into a single image that allows measurement of the MTF everywhere in the camera’s ultra-wide field of view. Neutral baffles are also provided to allow accurate exposures throughout the process even when Auto-exposure can’t be turned off. Testing real world scenarios that include multiple or changing light levels has always been a very labor-intensive effort. Analyzer’s Lighting Control lets you automate the process by creating lighting sequences for your DMX-compatible Automated Lighting System. You have complete flexibility to either drive your DMX with specific commands via its control stream, or to use it closed-loop by specifying an illuminant type, color temperature, and desired lux level. Sequences are stored in an editable XML format for easy creation and modification. The Lighting Control also logs the actual light levels as measured by the luxmeters. Lux logs can easily be viewed in Microsoft Excel or OpenOffice Calc, and can be automatically deleted after a specified number of days. An increasing number of cameras feature an integrated high-dynamic-range (HDR) shooting mode. Because these modes combine multiple frames at varying exposures, HDR-equipped cameras can capture much greater extremes of light in a scene than was previously possible. Traditional paper targets are completely insufficient to measure the effectiveness of HDR imaging. Analyzer comes with specific hardware tools and software support that allows it to accurately test images of scenes with dynamic ranges up to 120dB – more than adequate to accurately measure and analyze camera HDR modes. 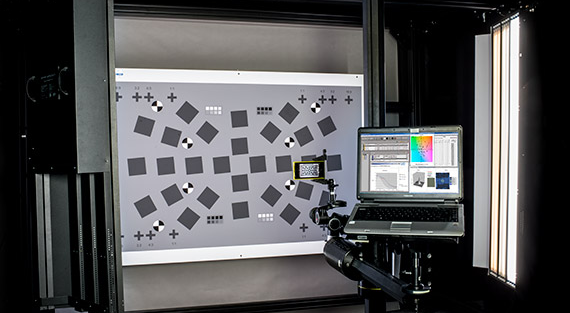 Precise control of lighting is essential for accurately measuring image quality and device calibration. But manually measuring the incident light falling on test targets and then making corresponding adjustments to the lab lights is a time-consuming and error-prone process. 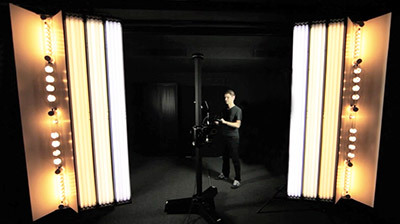 Because lights are never perfect and their output is not completely stable, test setups require checking and tweaking repeatedly during an analysis session. Analyzer addresses this problem by providing a closed-loop automatic lighting adjustment system with in-scene light meters that accurately measure the light falling on test charts and then automatically adjusts the light levels until the illuminance values are within required tolerances. Video capture has become a more central and integrated part of camera design, and testing solutions need to keep up. 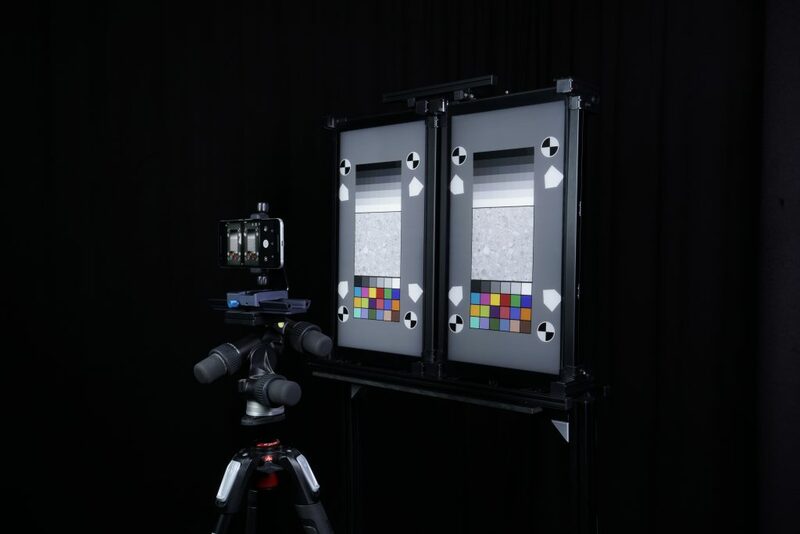 Analyzer greatly expands video quality testing by measuring a multi-pattern texture chart under changing light color temperatures and levels. 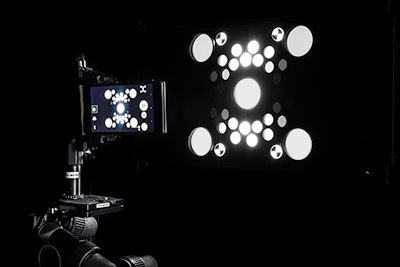 This allows accurate testing of many additional aspects of video, including exposure, white balance, sharpness, and texture all in one go. These qualities are valuable to anyone buying a camera, but they are especially important in many commercial applications such as automotive ADAS (Advanced Driver Assistance System), surveillance, videography, and medical and aerospace imaging. Traditionally, MTF testing using paper targets has assumed that both the printing on the target and the paper used for the target are perfect and present an ideal black- & white edge with infinite resolution. Unfortunately, ink or photographic edges are never perfect and paper always has some of its own texture, with the result that, up to now, MTF for cameras and lenses have not been accurately measured. Using Analyzer, we have analyzed and measured the MTF of our test targets. Analyzer uses this correction factor to correct the results of its MTF tests, so that the results more accurately reflect the real MTF of the device being tested. This additional accuracy is particularly important as sensor resolution continues to increase.